The new 300cc class bikes are becoming a huge hit for riders from all around the world. Sure, these might not have the insane top speeds and huge amounts of power, but they are light, easy to play with and a whole lot of fun, irrespective of your riding level. Two of the most popular cycles of this class includes the G310 R from BMW and the Duke 390 from KTM. Just from the names, we can see a rather big difference in engine sizes, but in actual fact, these bikes are perfect for comparison on what you should be looking at to choose the perfect toy. Let’s dive in and see what these bikes have to offer. From the very first moment you get on the KTM, you’re sure to get the urge to play, not only became of the “ready to race” intro on the screen when you turn on the ignition but also because of the super-moto feel that’s introduced with the over-the-front-wheel setup of the bike. KTM has managed to include the same feel as many of their bigger bikes, giving you the urge to get that back tire out wide around the corners. 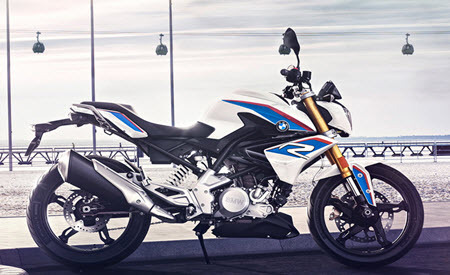 The BMW offers a completely different feel, even though it’s a similar bike and also has a naked moto-like style. However, it’s a lot softer in comparison, making it a better day to day cycle that’s not quite as extreme as the KTM is. The BMW also offers a natural seating position whereas the KTM is more aggressive due to that over the front wheel riding style. When it comes to the engine size and the power you can expect, you’ll find the riding style is also majorly affected, which is sure to make a difference to the bike you decide to buy. 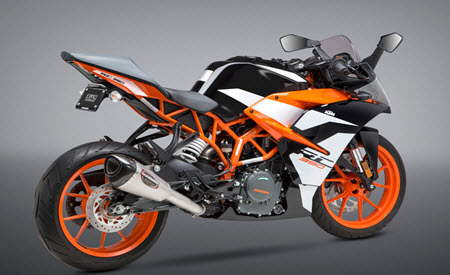 The KTM is obviously the most powerful as it comes with a single-cylinder, 375cc engine that’s liquid cooled. It has a 6-speed gearbox, allowing the 44bhp and peak torque of 35 Nm to get to the back wheel for an awesome ride. The BMW is a single cylinder as well, offering 313cc with 34bhp and a total of 28Nm. Due to the smaller engine, that the bike takes some getting used to and most of the time, as a first-time rider, you’ll end up stalling at times. However, all it needs a bit more revs and you’re good to go! In real-world testing, the KTM is bound to the be the strong bike, especially with the additional torque that allows you to get out the corners faster and have a smile on your face while doing so. The BMW is far from a bad bike, but the smaller engine is noticeable, especially since you really need to get the revs up before it performs. Down low, the BMW is somewhat disappointing as you don’t have that instant power as seen with the KTM.